Autumn is the season for chestnuts, and it’s also the time when they’re at their most delicious, so here are the top 5 chestnut sweets to be had in Kyoto! Japanese people often talk of “autumn of delicacies,” because in autumn after a good harvest, you get to eat many yummy things, like sanma (Pacific saury), matsutake, and of course chestnuts (kuri), among others; these autumn treats all taste incredible. I’m sure that many of you have already tasted chestnuts, and if you haven’t, please come to Kyoto to try them. 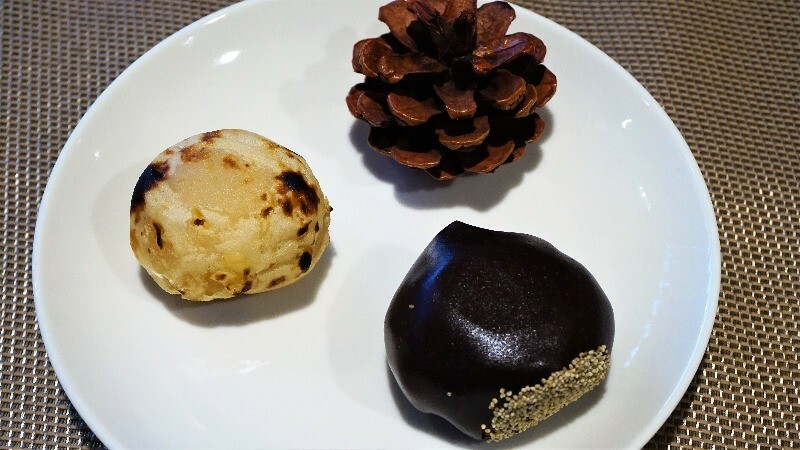 There are many chestnut sweets you can have in Japan, with the French Mont Blanc probably the most famous, but if you are coming to Kyoto, how about trying something more traditional? The texture is very special, so how about trying some? You can buy some and have a picnic by the Kamo River, enjoy the autumnal tastes and the beautiful leaves of the maple trees! 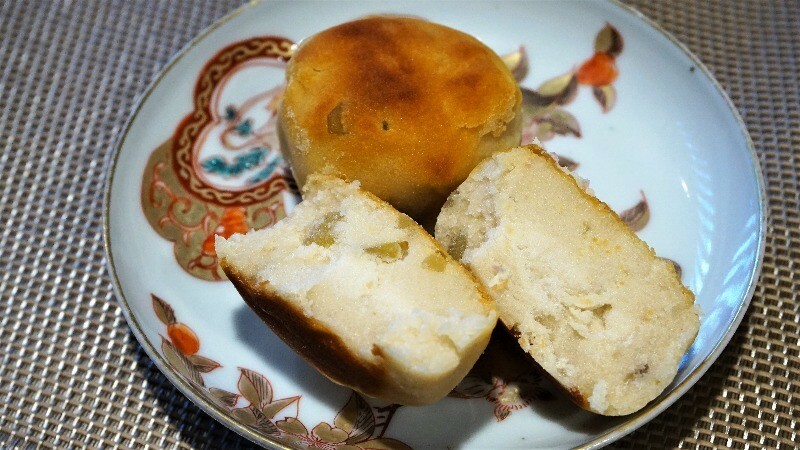 Close to Sanju Sangendo Temple, there is the traditional Japanese sweets shop Kanshundo that makes a mean sweet chestnut bun with white bean paste. The fragrance is great and the fine texture even better, a bit like a Chinese mooncake. It will taste even better with a cup of Japanese tea. Demachi Futaba is famous for its mamemochi, mochi containing crunchy beans, and there is always a line in front of the shop. The deliciously chewy rice cake dough and not-too-sweet red bean paste are what this shop is renowned for. They have an autumn special, kurimochi, which contains a lot of red bean paste and chestnut in a rice cake shell, topped with a little bit of roasted soybean flour. Fragrant, delicious, and satisfying! 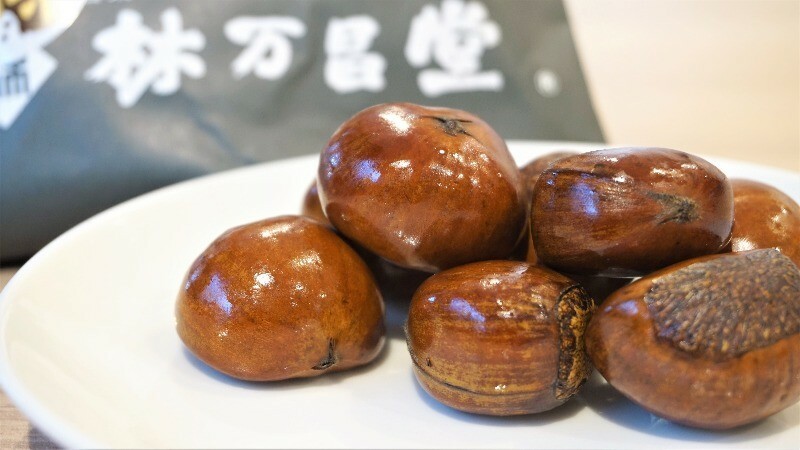 Close to the entrance of Teramachi Shopping Street you can find Hayashi Manshodo, a shop specializing in roasted chestnuts glazed in the Chinese way. They’re incredibly fragrant! The gleaming chestnuts are glazed but also have a natural sweetness to them. They’re so good they’re addictive; it’s hard to stop eating them! They also have chestnut ice cream and cookies, so do remember to take a look at them too. Oimatsu is one of the most famous traditional Japanese sweets shops in Kyoto, and every year in autumn, they start selling manju with a chestnut inside them. 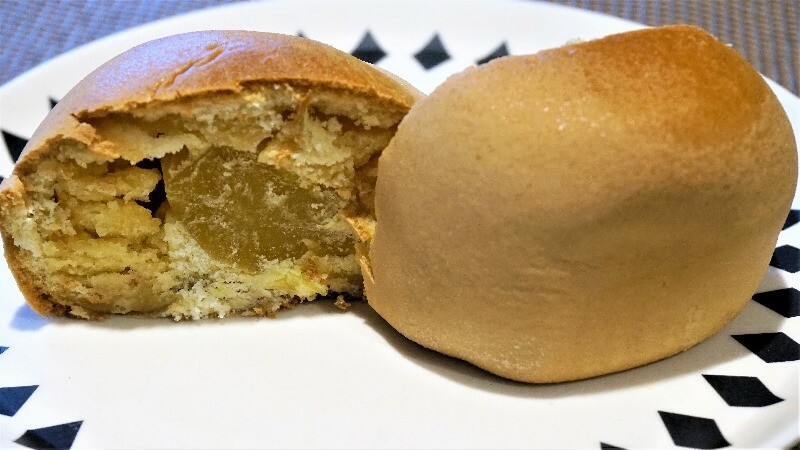 The skin of the manju is very thin, and there is a lot of white bean paste and chestnut inside, it has just the right amount of sweetness, and you can enjoy the elegant taste of chestnut. It’s easy to eat too, as it’s a bit moist, and not too dry. Cute chestnuts, by none other than Nijo Wakasaya! They have two types of chestnut sweets, roasted and covered with red bean paste. 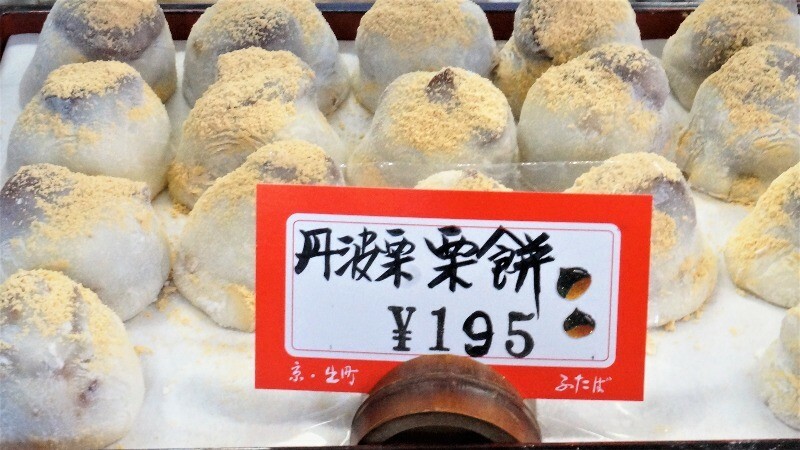 The chestnuts are covered either by white or red bean paste, and the white bean covered ones are then also roasted, making them even more delicious. The red bean covered one has an even stronger taste, and you get to enjoy the sweetness of red beans. Chestnuts are especially delicious in autumn, and when they’re made into Japanese sweets by artisan chefs, they’re going to surpass your expectations. The sweets above are good for over a week (with the notable exception of Demachi Futaba), so you could also get them as a souvenir!